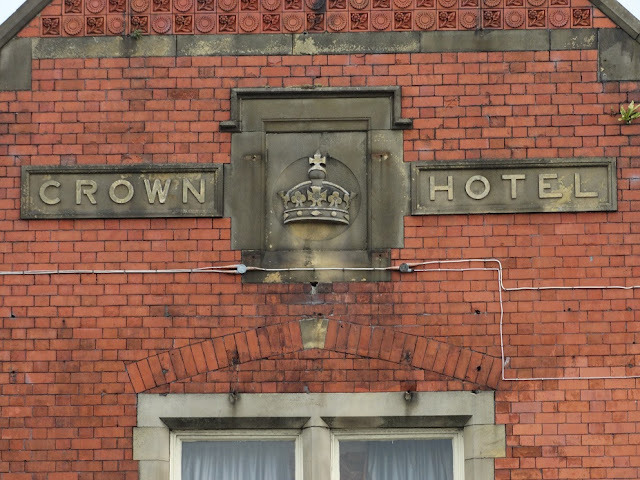 Built in 1796 the Crown Hotel is one of the oldest landmarks in Horwich although today's Crown was not the original building having been rebuilt in 1886. 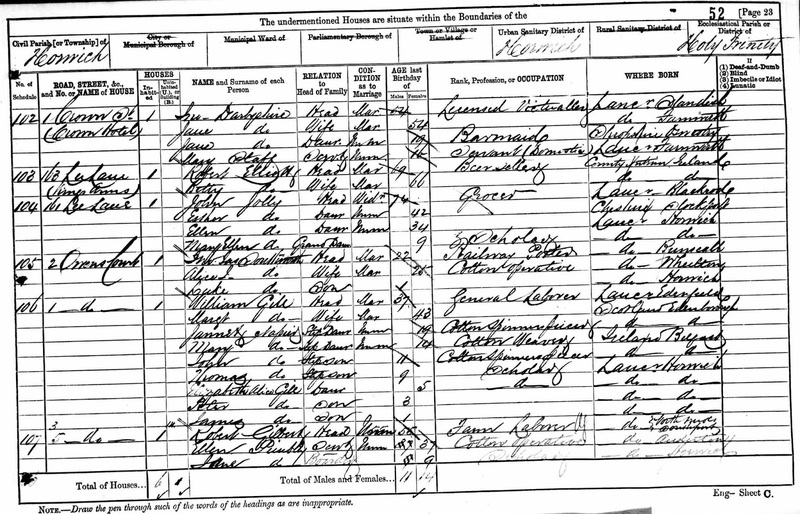 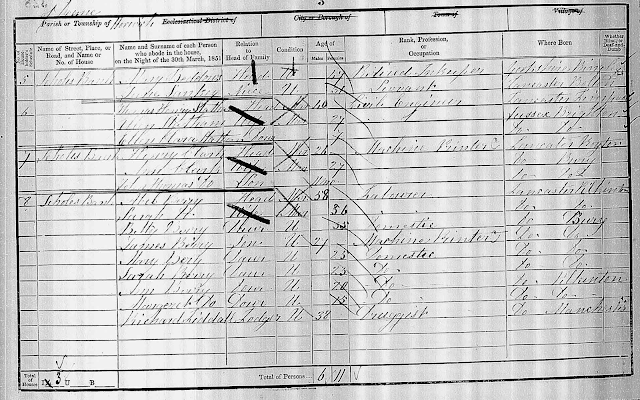 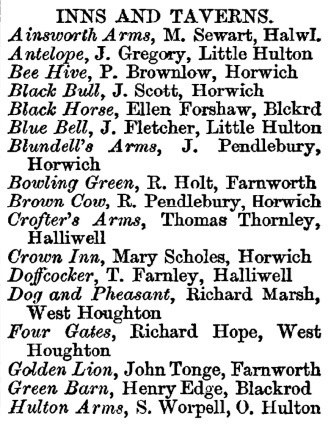 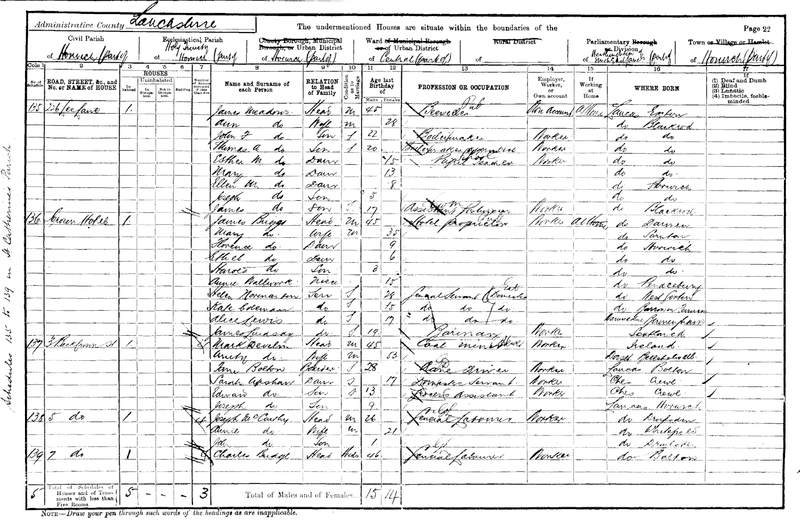 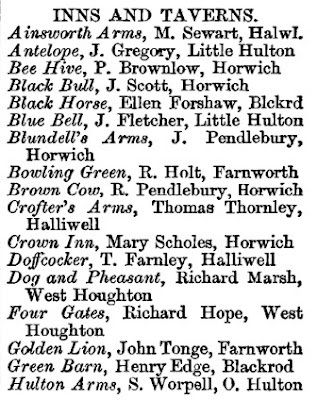 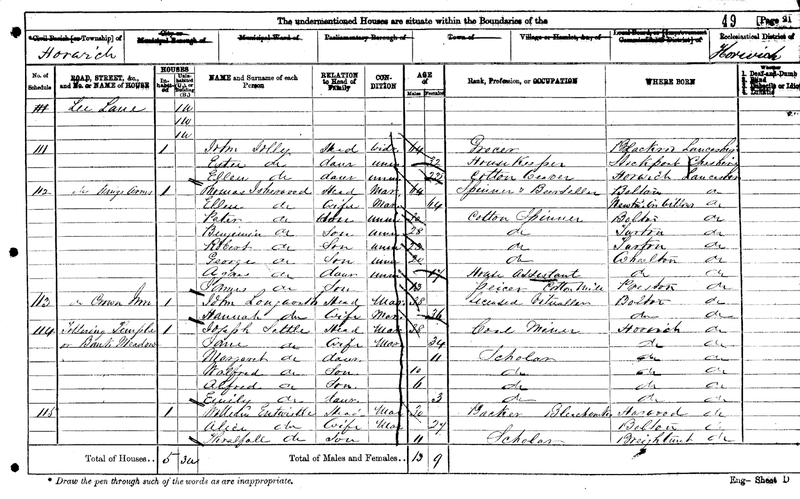 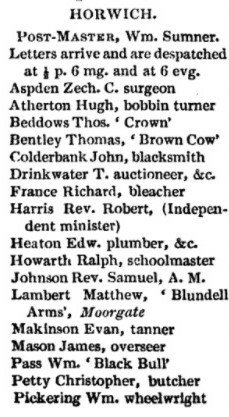 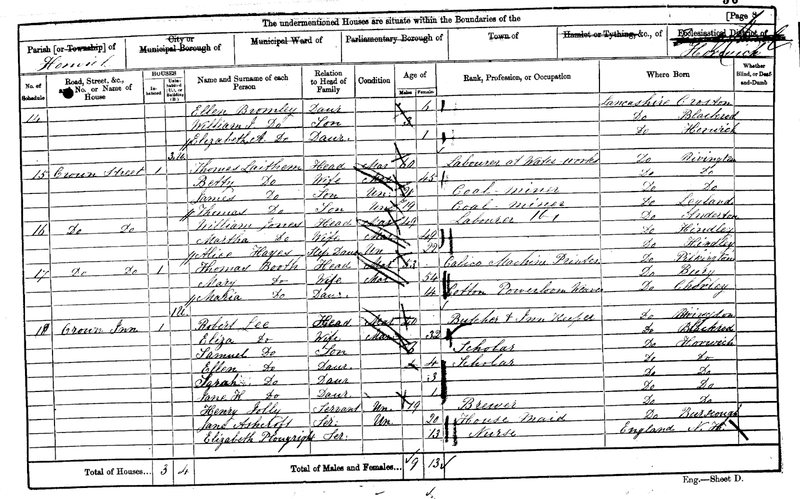 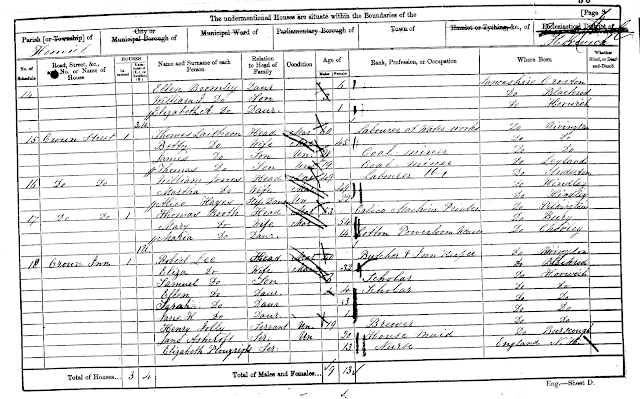 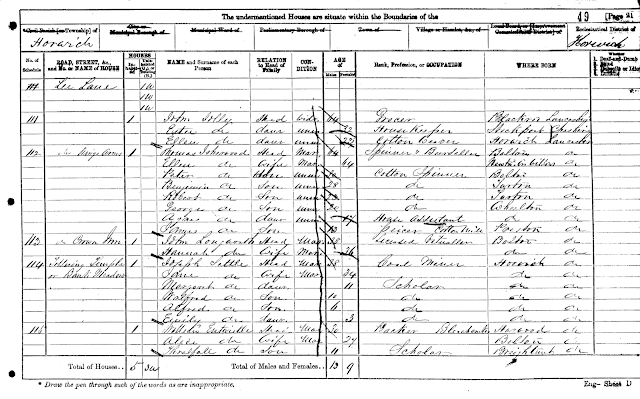 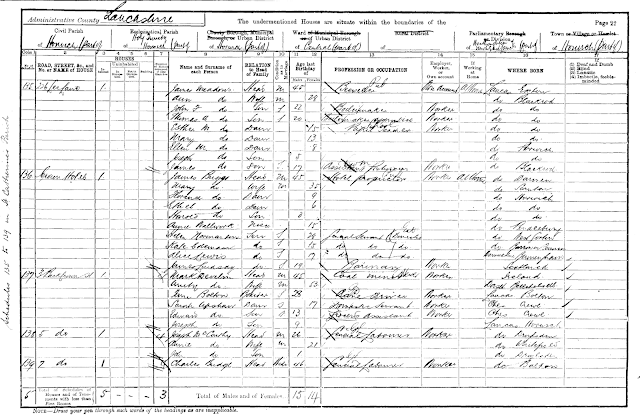 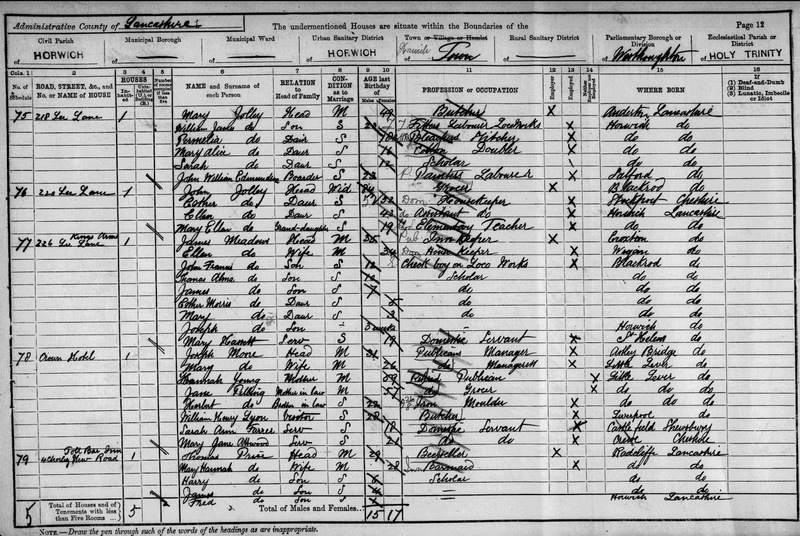 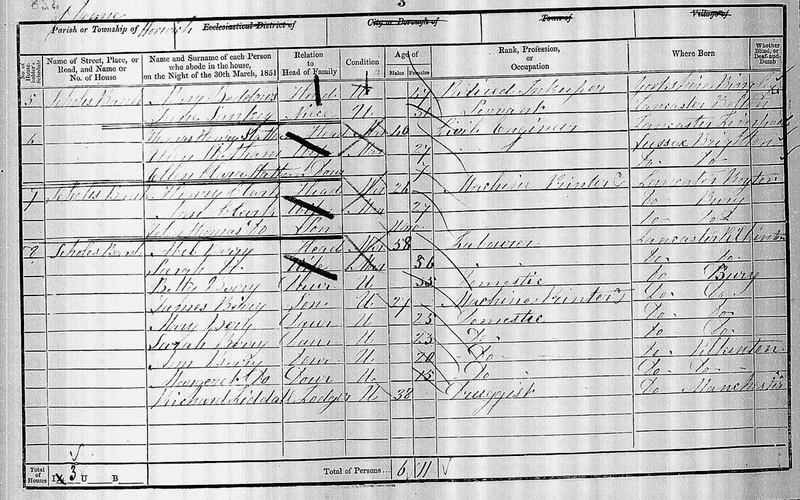 Listed landlord were Mrs Entwistle (1809-12), Thomas Beddows (1825-36), William Beddows (1834-51), Mary Beddows (1851), Mary Scholes (1854-555), James Ratcliffe (1856), Robert Lee (1861-62), John Burgess (1862-66), Thomas Hart (1864), William Holt (1868-70), William Henry Cheetham (1870), John Longworth (1871), John Foster (1871-72), Robert Lee (1876), James Waddington (1876-77), Swithin Dickinson (1877), John Darbyshire (1881-82), Jane Darbyshire (1882), Thomas Greenwood (-1886), Joseph Moore (1886-91), James Briggs (1892-1906), Frank Paterson (1911), Mr Edmund Hayton (1921-24) and Beverley Parker (2011). 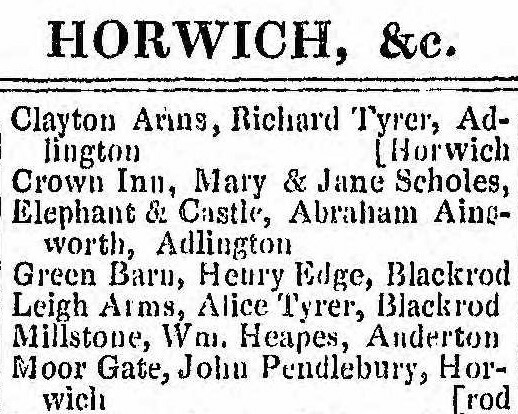 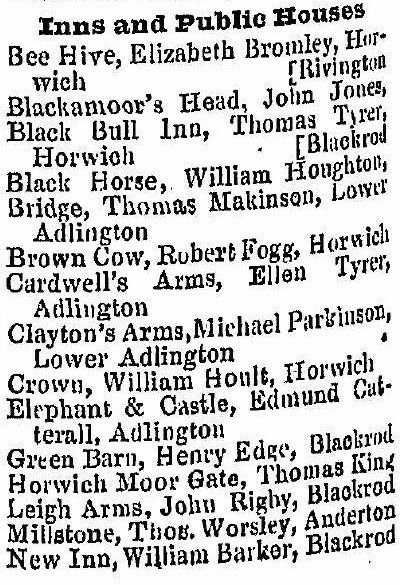 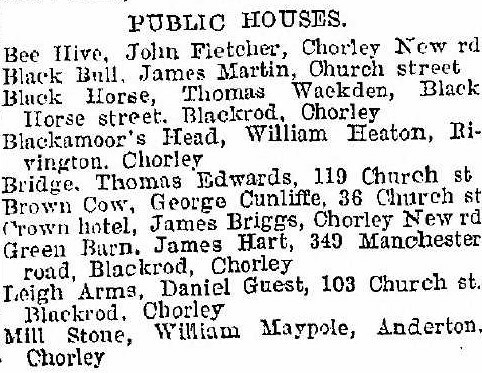 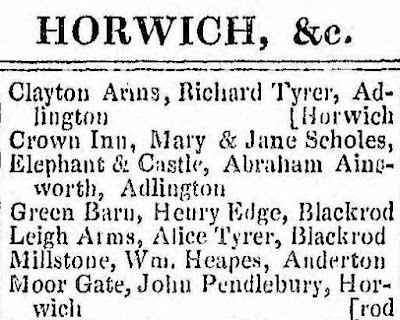 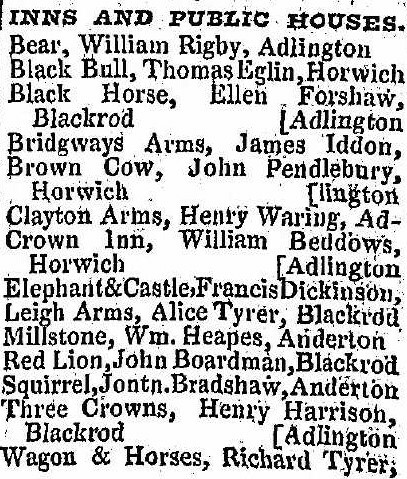 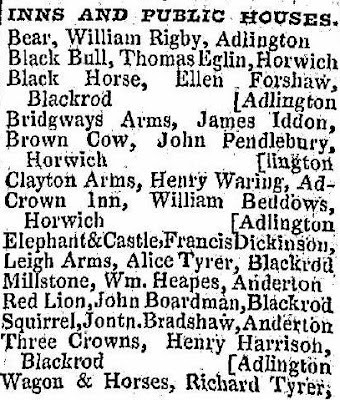 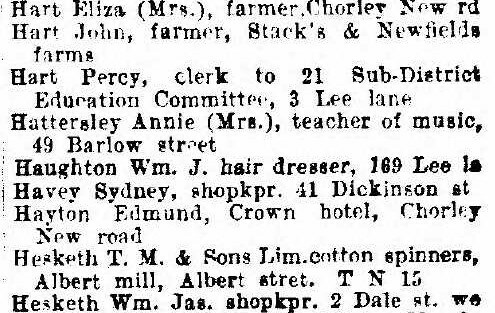 Charge Permitting Drunkenness in a Public House —On Thursday, at the County Sessions room, Miss Mary Scholes, of the Crown Inn, Horwich, was summoned on a charge of wilfully and knowingly permitting drunkenness and other disorderly conduct on her premises. 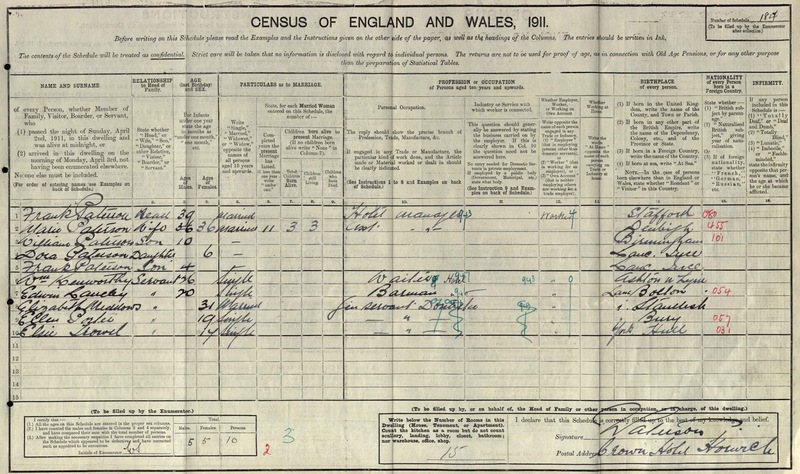 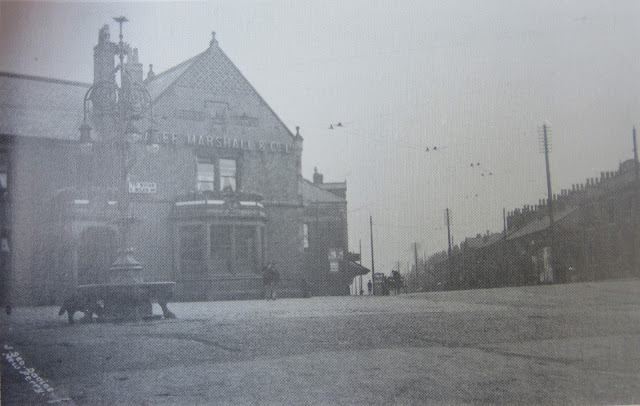 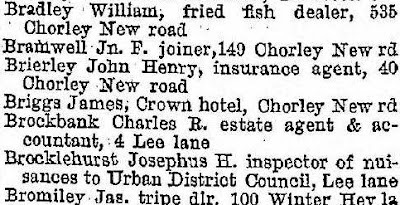 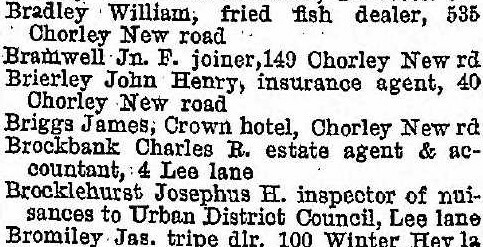 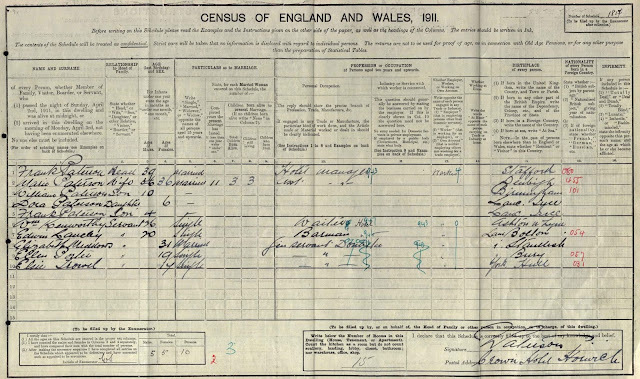 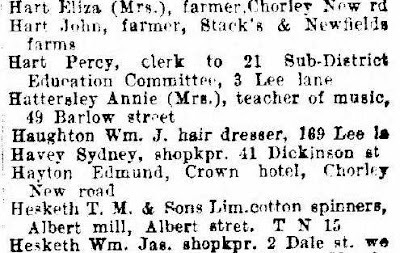 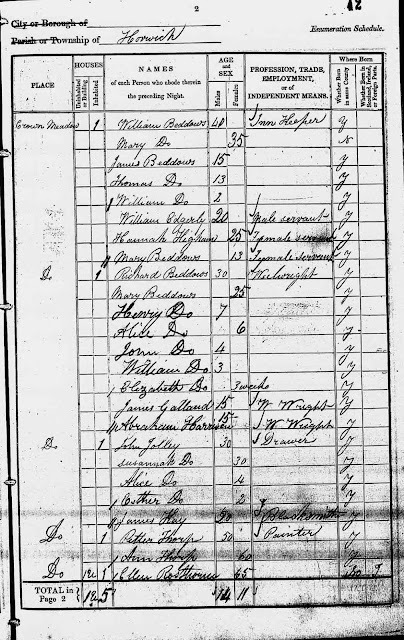 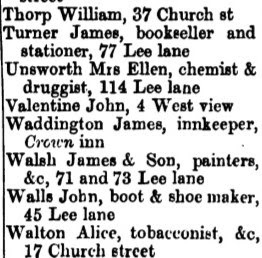 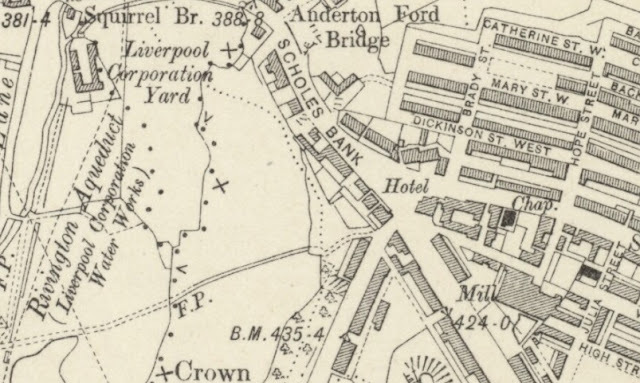 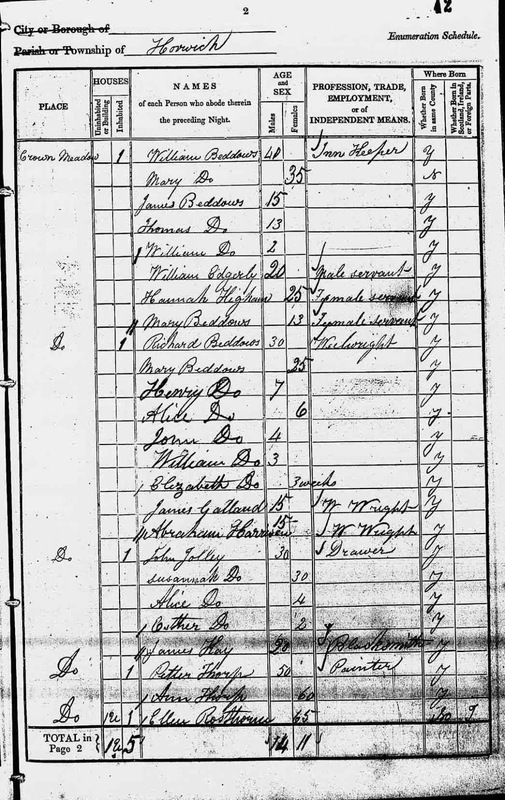 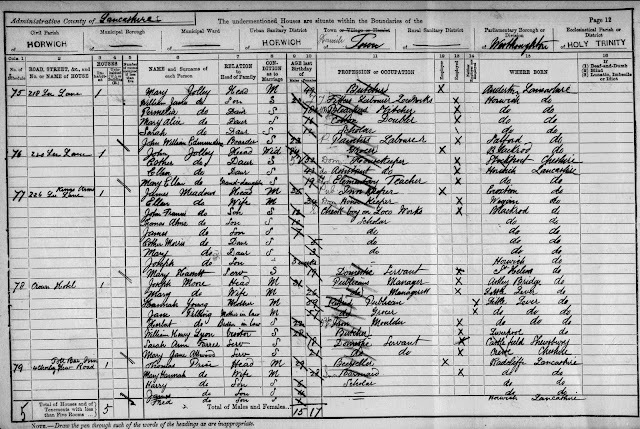 It is clear from the above press extract that Robert Lee only stayed a short while at the Crown and then moved across the road to the Toll Bar Inn where his family remained until 1890. 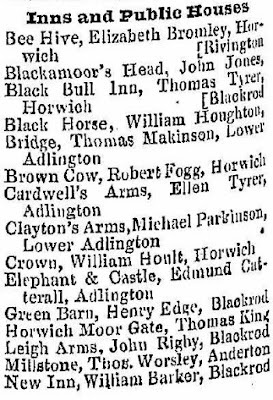 Assaulting a Married Woman — At the county sessions room, Little Bolton, on Monday, Mr. John Burgess, owner of the Crown Inn, Horwich, was summoned for having assaulted Lucy Pass, wife of James Pass, mechanic, also residing at Horwich. 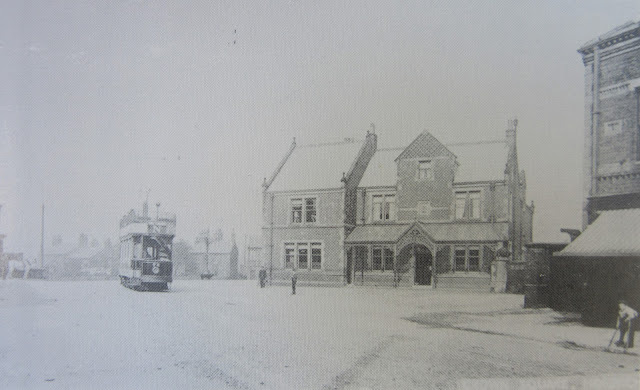 The Ridgmont Lodge the Independent Order of Oddfellows was celebrated on Saturday afternoon, at Mr. W. Holt's, the Crown Inn, Horwich ; when 220 persons, including the members, their wives, and friends, sat down to a most excellent and well-served dinner. 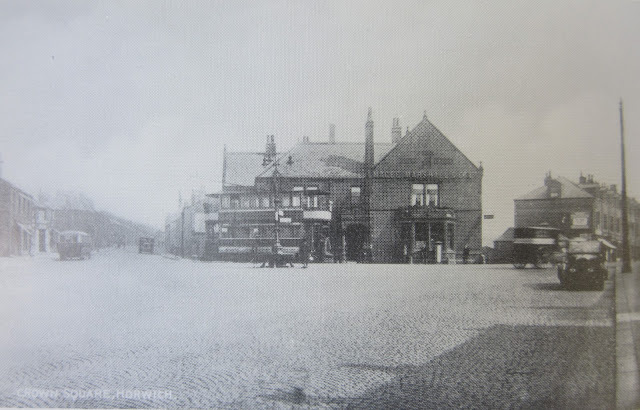 Alleged Gaming at the Crown, Horwich. Permitting gaming on licensed premises was the charge preferred against James Briggs, landlord of the Crown Hotel. Horwich, at the County Sessions, this morning, before Messrs. A. Topp. 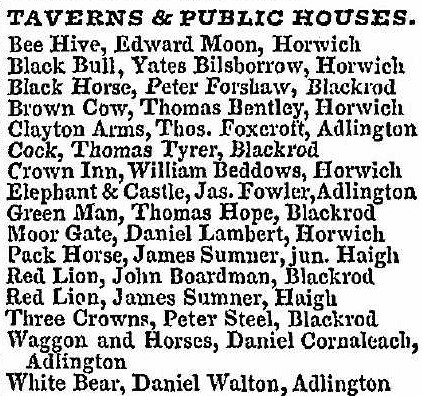 A Plaque will be unveiled at a pub that has been going for more than 200 years. 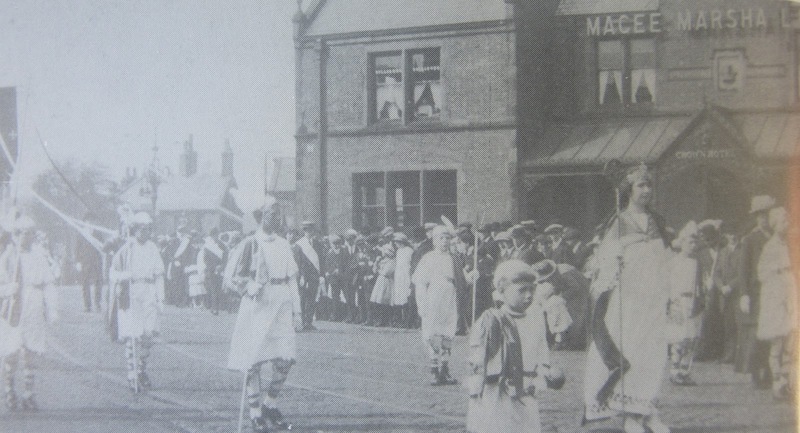 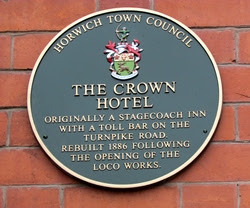 The Crown Hotel in Chorley New Road, Horwich, will be presented with a Civic Plaque tomorrow. The town mayor and mayoress will unveil the award that has been awarded to mark the pub’s 231-year tenure in the town. 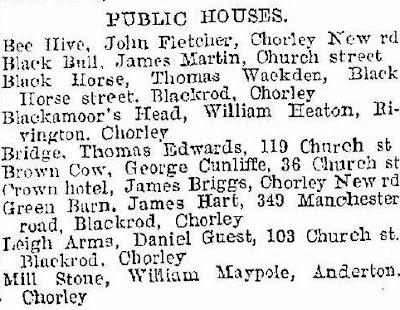 The pub is the latest addition to the existing 15 buildings that have been acknowledged with the civic award. 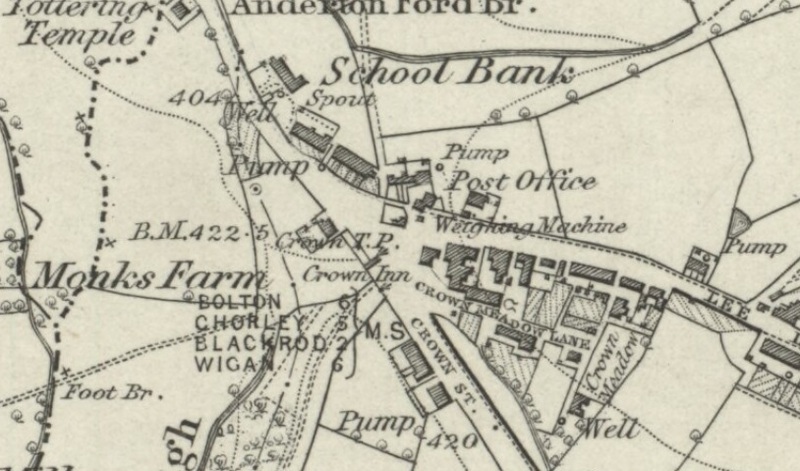 The green display bears the town council’s coat of arms. 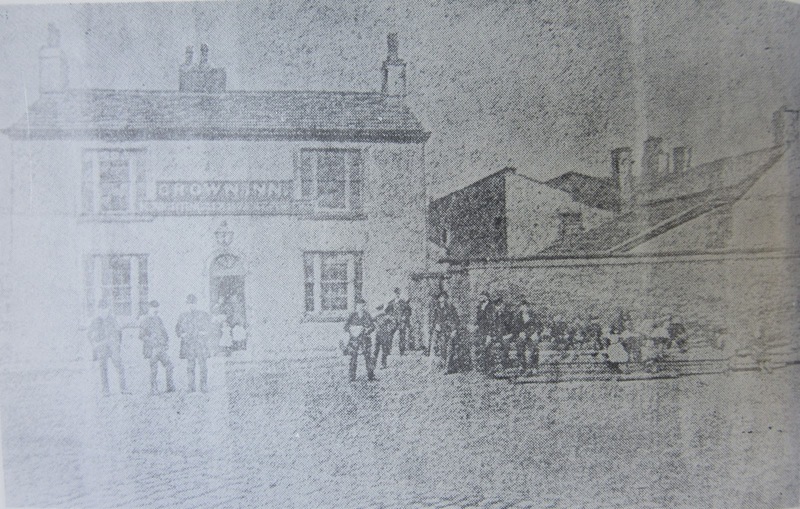 The original Crown Hotel was created in 1786 and it is believed to have been a staging post on Turnpike Road. 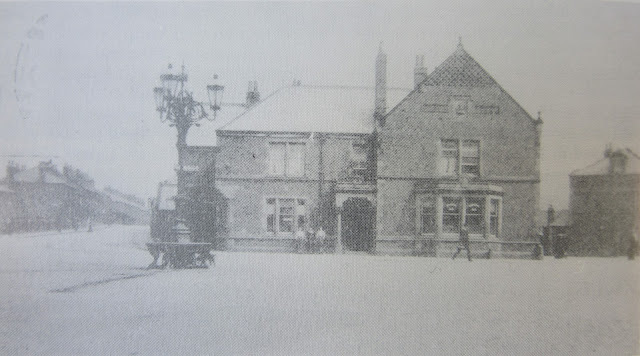 It was rebuilt in 1886 with the arrival of the Railway Works and it has been featured in the Good Beer Guide for 16 years consecutively.